We have already seen the two steps a pastor must take to help the congregation get stronger –self-growth andbuild a team. But there are also two steps the people of the church must take to contribute to the same health journey. Many congregants know the frustration of a revolving door of pastors with their unique visions, ideas, and strategies. A frequent change in pastors can lead the congregation to forget that they, too, have some responsibility for what their church is becoming. The last decade of the 20th century brought new vistas of adventure to the world of Bible study. The word of God was unleashed from the printed page to the digitized screen. For those pioneers who first encountered digital Bible study, it has been a fast-paced turn of events to a day where the Bible is now available for instant word-studies on the phone, quick word searches online, and sermons that can be shared to multiple platforms. Whether you get your devotions from a web page, your lessons from a digital platform or the tried and true method of paper and pen, consider these advantages to the new options in digital Bible study. Many of us have heard the story of Christ’s burial and resurrection. Sadly, since we are removed from the historical context of this event, some of the details of the story can be lost to us. 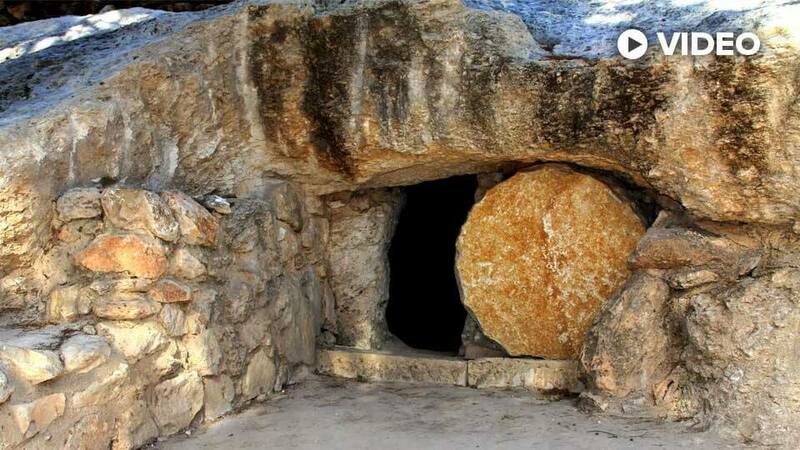 For example, the gospels tell us that Christ was buried in a tomb for three days. Have you ever given any thought to what the tomb of Jesus was actually like? Was it a gravesite like we use today or was it something different? In 2015, Dr. Paul Franks and Dr. Jeff Magruder hosted a three-part Christian Apologetics seminar at SAGU. In this session, Dr. Franks explains the mindset needed and how to respond effectively to different types of objections to the truth of Christianity. The Bible reflects the importance of sheep in biblical society. The relationship between the sheep and the shepherd was one of intimate knowledge - the shepherd’s duty to watch over and care for each sheep was directly tied to the success of the owner. When Haddon Robinson died last summer, tributes began to appear in print and online praising his gifts as a communicator, mentor, and as one website put it, “one of the world’s foremost experts in biblical preaching." I had the privilege to study with him at Gordon-Conwell Theological Seminary where he served as my doctoral mentor. During my first year of taking courses there, my pastor asked me what was the single most important lesson I had learned from Dr. Robinson thus far. Embarrassingly, I couldn’t come up with an answer, but after reading what so many have said about him on the occasion of his passing, it has caused me to reflect on my own experiences while his student, and now I think I know how I would answer my pastor's question. In 2015, Dr. Paul Franks and Dr. Jeff Magruder hosted a three-part Christian Apologetics seminar at SAGU. In this session, Dr. Magruder explores the reasons why a perfect God would allow evil. In part 3 of this vlog, Dr. Stephen Meyer, Director of the Discover Institute's Center for Science and Culture, concludes his discussion regarding the faults in the beliefs of the Neo-Darwinism movement. Speaking from his own published book, "Darwin's Doubt", Meyer shares how Neo-Darwinism does not explain the complex genetic circuitry needed to generate life. In part 2 of this vlog, Dr. Stephen Meyer, Director of the Discover Institute's Center for Science and Culture, continues discussing the faults in the beliefs of the Neo-Darwinism movement. Speaking from his own published book, "Darwin's Doubt", Meyer shares how all biological systems reflect intelligent design and presents four challenges to the creative power of natural selection. In part 1 of this vlog, Dr. Stephen Meyer, Director of the Discover Institute's Center for Science and Culture, discusses the faults in the beliefs of the Neo-Darwinism movement. Speaking from his own published book, "Darwin's Doubt" and his experience of attending the Annual Conference of the Royal Society in London, Meyer shares how the evolutionistic belief over the mechanism of mutation and natural selection does not explain the origin of new body plans and body types as seen throughout history. In this video, Dr. Jeff Magruder explains the importance of having an awareness of language, culture and other variables when presenting the gospel to non-Christians. In part one of this article, we discussed the effect of the discipline of rest on bodies weakened due to the fall of man. In part two, we will look at the effects of exercise, diet and nutrition on the human body, the new Temple of God. In the beginning, humans were created in the image of God but soon sin disfigured that image. Since the Fall (Gen. 3), humankind has struggled to return to the image of God. Today, believers hold to the hope of John’s words that when Christ returns, “we shall be like Him” (1 John 3:2). Christians live in the long struggle between the two images. This brief article reviews the Biblical teaching that addresses how believers may strive toward returning to a proper spiritual formation through the practice of less-emphasized, spiritual disciplines. Sunday is a day like no other, for many of us. On this first day of the week, we do things quite differently than on other days. We start our day, not at work, play, or with a honey-do list, but gathering with others we don’t see all week to worship. Then it’s off to lunch and perhaps an afternoon nap. The day’s events look nothing like what is awaiting us on Monday. And maybe that’s why it happens. 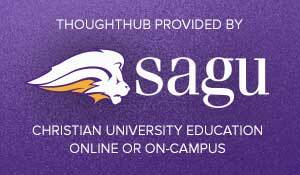 In this three part Apologetics Seminar presented to SAGU students during chapel W. Paul Franks, Ph.D. and Jeff Magruder, D.Min. speak about more ways we can know God. In this first video Dr. W. Paul Franks discusses the two main threats to the Christian Worldview: 'New Atheism' and Religious Pluralism.